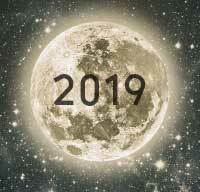 The next Full Moon will be on January 21, 2019 at 5:16am UTC. Keep in mind that exact Full Moon and New Moon times vary depending on your time zone. Click on the calendar below to get local Full Moon times across the world.